The older I get (or maybe the older my kids get!) the more I need God. I need to remember He’s there, and I can trust Him. I need to hear His voice. It’s one of the benefits of being a mom, I think. Our kids remind us that God is our oxygen. We might be able to handle ordinary life with out Him (or so we think), but never the mommy life! How can a mom let God be her oxygen? 1. Be aware of your need for Him. Your kids will help you do this, I promise! 2. Ask for His guidance. Beg Him to show up in your day to guide your steps. He does that well. You receive more of His guidance in your daily life the more you ask. 3. Learn to trust God more simply. (This means don’t freak out when things aren’t going as planned.) The more you see Him work out His good in everyday problems, the more you’ll rest in His faithfulness. 4. Develop the spiritual habit of breathing Him in. This just means acknowledging Him throughout the day. Taking not of the world He’s created, and rejoicing in His goodness no matter what’s going on. Do not question if you really need God. You do, just like you need to breathe. And life just seems to work better when you have your God-oxygen. 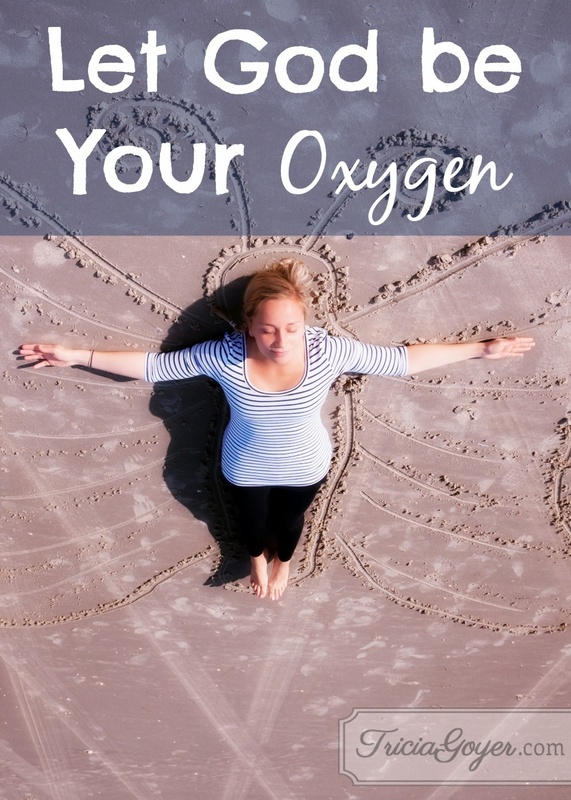 How can you let God be your oxygen? This looks like a lot of fun. There are several posts there I’m really looking forward to reading.Thanks for sharing this at Booknificent Thursday! Looking forward to seeing you again this week!